Hazelwood Power Station, in the Latrobe Valley, Victoria, Australia is a brown coal fueled base-load power station built between 1964 and 1971. The power station is of 1,600 megawatt (1,470 net) capacity, and supplies up to 25% of Victoria's base load electricity and more than 5% of Australia's total energy demand. Hazelwood produces 2.8% of Australia's CO2 emissions and 0.057% of World emissions. The station was listed as the least carbon efficient power station in the OECD in a 2005 report by WWF Australia. International Power plc purchased Hazelwood from the State Government in 1996 with a 40 year life. The Bracks Labor Government subsequently approved an environmental effects statement in 2005 that allowed Hazelwood to move a road and a river to access the coal allocated to Hazelwood at the time of Sale. 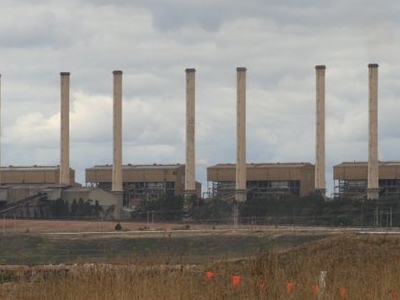 There is an estimated 500 years of easily accessed coal reserves remaining in Victoria's Latrobe Valley. 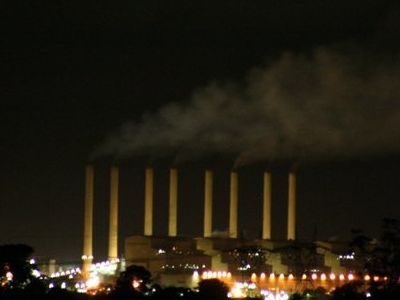 Here's the our members favorite photos of "Power Stations in Victoria". Upload your photo of Hazelwood Power Station!